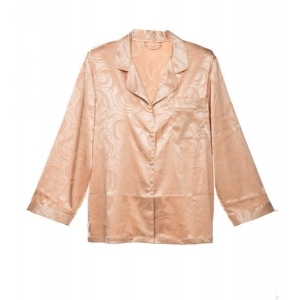 The luxurious Donna kimono is made of stretchy and beautiful jugend patterned satin. The sleeve cuffs are of elastic embroidered lace with leaf pattern. Donna-collection’s night wear is made in an atelier-like small factory in Estonia. All materials are made in well-known European factories.